We have released a new minor version of novaPDF, 9.3, which contains important features, updates and fixes. 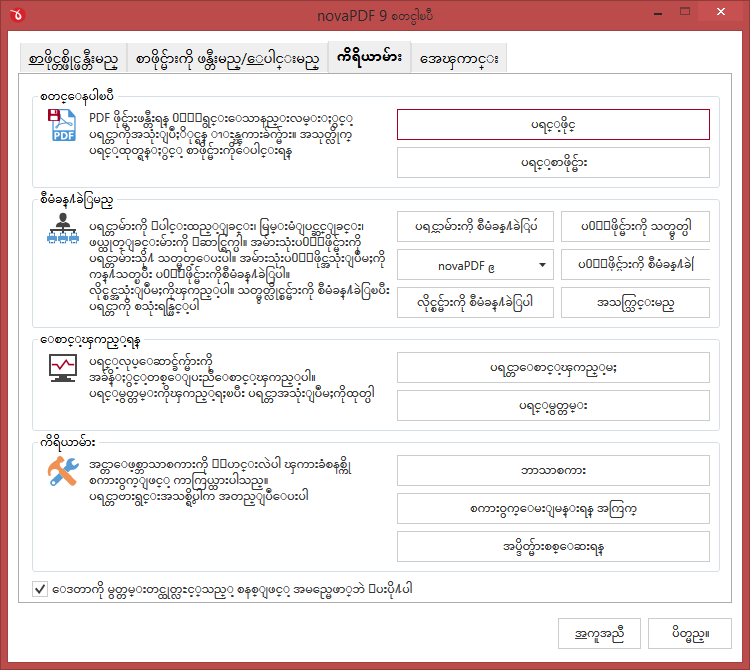 The interface is now available in 3 new languages (Polish, Russian and Burmese), a new file open option was added, plus other important fixes. You can download it here: Download novaPDF. Interface is now available in 5 new languages. The user interface is now available in 5 more languages: Bulgarian, Burmese, Polish, Russian and Spanish. We are actively working on updating all the languages that were available in version 8, and we’ll add more in the next releases. Option to open linked file in new tab. 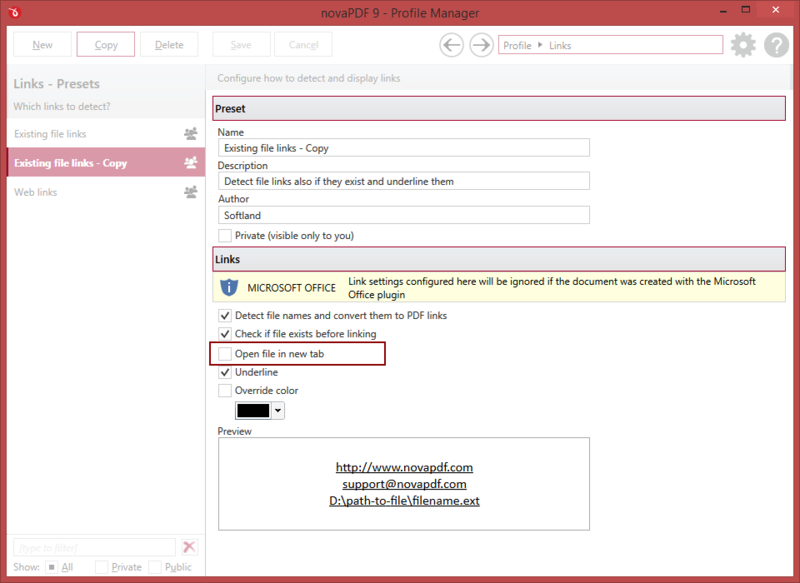 With novaPDF you get the option to include links to other PDF files. The new version of Adobe Reader has support for tabbed reading, allowing multiple PDF files to be opened at once. The new option introduced in novaPDF allows you to configure the linked PDF file to be opened in a new tab. This option works only with PDF readers that have support for for tabbed reading. Notice to previous versions users (novaPDF 1.x – 8.x): novaPDF 9.3 will be installed separately and allows you to test it before deciding to buy the upgrade.